Large Format Printing Services for all major airlines, airports, and private airlines. Print all of your airline wall graphics, direct mail, flyers and banners with SCG. 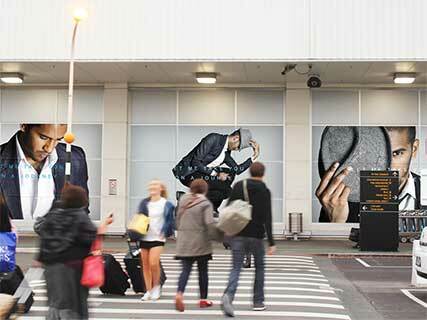 You won’t find more creative graphics or prints than in the Airport. Airline Printing is a vital way for airports to spread their message and navigate traffic correctly. With tons of restaurants, stores, promotional opportunities, and safety messages, SCG has helped print and serviced Airlines and Airports since our inception. We just don’t focus our attention on Airline Banners and Posters, SCG can print direct mail pieces, digital prints, lenticular Airport pieces, and more. Take a look at our portfolio and see how we have serviced, printed, in all sizes, for the Airplane industry. Airline Graphics are everywhere. Installing them and updating them constantly is half the battle with print buyers in the airline industry. Changing the message constantly and having new print marketing opportunities to fill a whole airport. At SCG we have systems in place that allow you to readily and easily place a order for any large format printed items, traditional offset items, or direct mail pieces. Working with fortune 500 clients, travel industries, and commercial companies is our specialty. We promise when working with us, it won’t be our first rodeo. Make a quality statement by assuring that each poster or banner that you print in the airport is of the highest quality. Printing for Airlines and Airports is something that at SCG you will work with consultants that have experience services you. Airport and Airline Print Marketing Services. Airport Station Printing Services by SCG. We are fortunate enough to know that when Airlines are looking for the stations in their airport to be filled with beautiful wall graphics, posters, or POP Displays, or other printing opportunities you are looking for a printer with experience as well as assuring for on time delivery and quality installation. At SCG, Airport Graphic printing is something where distribution and fulfillment is a priority, technology is top of the line, and printing is second to none. Go ahead give us a call and let us quote you for all of your large format, digital, vinyl prints, airplane graphics, or wall banners. 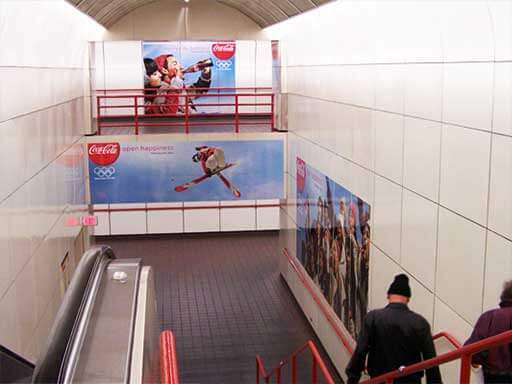 One of the best features of advertising in an airport or station is the captive audience. These prospects often find themselves waiting for long periods of time in dull, drab airports or stations with plain walls or boring graphics due to low quality standards of production. The good news is that help is here. 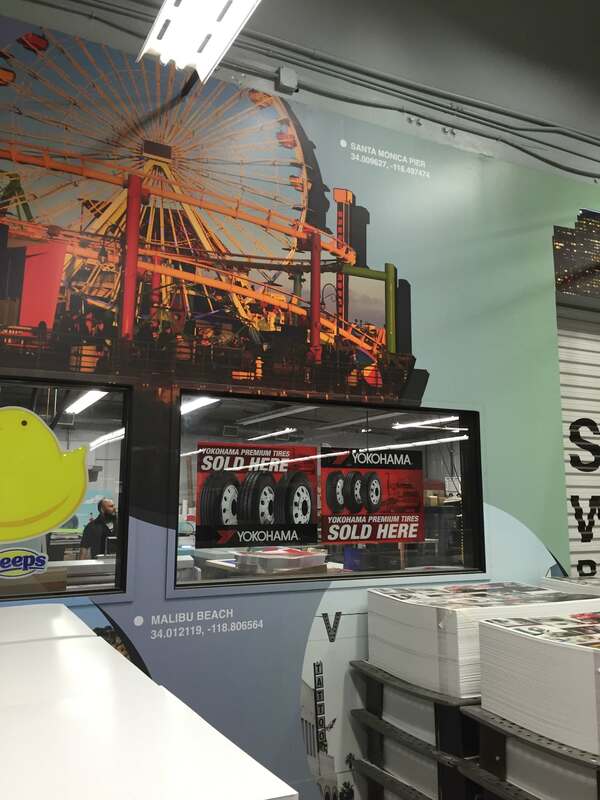 The Large Format Printing division of Southern California Graphics can help you take advantage of the upscale airport and station target audiences by producing airport graphics that get noticed. And because these prospects typically have a higher level of disposable income than those who do not travel or whose travel is limited, your success is more likely to be assured. But your success with an airport and stations marketing program depends on more than just putting up ads in strategic locations. It also depends on the quality of the airport and station graphics your prospects will be seeing. Deliver poor quality and expect poor results. Deliver beautiful, vivid graphics and your chances of success will improve. At Southern California Graphics, beautiful, vivid graphics are all we ever create. Founded in 1974, Southern California Graphics (SCG) is one of the most experienced and trusted commercial printers in the country. Our design and production teams can help you create, develop, or grow your brand or business using state-of-the-art technology that provides super sharp images and text that get noticed. Call SCG today to learn how our experience,innovation, and superior service can help you grow with captivating airport and station graphics. For more information, or for a free initial consultation, call us at (310) 559-3600.